Considered a national treasure in Japan, they are often called a “love plant." When given as a gift, they are purported to help accomplish the heart’s desires. If that’s not enough of a reason to begin growing your own colony of moss balls, they are also incredibly easy to care for and don’t require a lot of attention. Marimo moss balls originate in cold, freshwater lakes such as Lake Akan, Japan and Lake Myvatn in Iceland. The balls are formed by strings of algae rolling around in the shallow edges of lakes rounding out into spheres. The balls are green all the way around ensuring that they can photosynthesize no matter which way they roll. In their natural habitat they rise and fall when the algae photosynthesizes rapidly causing oxygen carry them to the surface. When the light lessens, the balls sink back to the bottom. Inside of the balls are dormant chloroplasts which become active after being broken apart. While the balls often divide on their own and form into new moss balls due, it’s possible to create your own colony. To propagate your own moss balls you simply divide an existing ball in two and then form the resulting parts into balls by rolling them around in your hands. 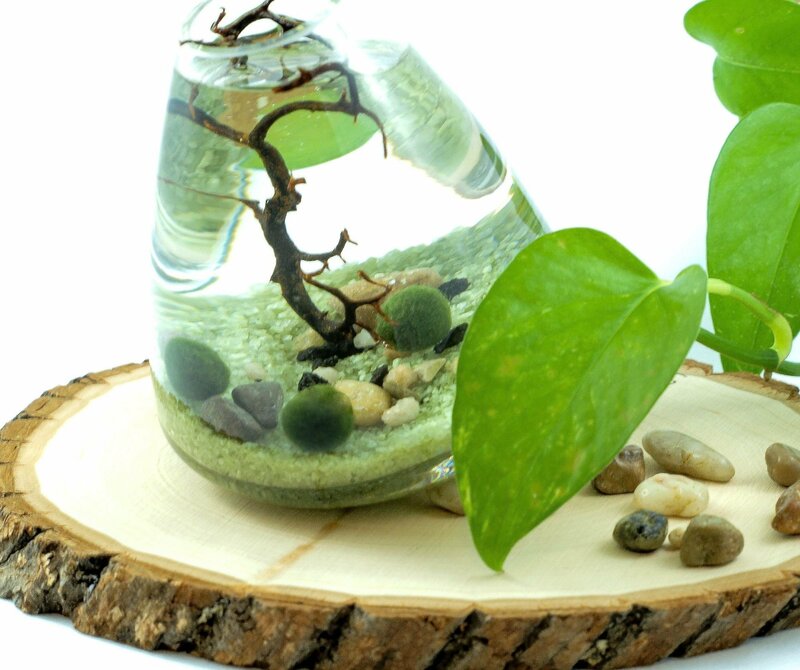 Be prepared to hang onto your colony of little treasures for a while as the oldest recorded Marimo Moss ball is over 200 years old.